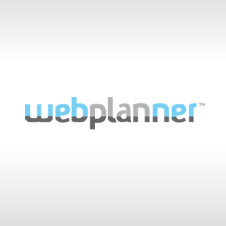 WebPlanner – a tool we’d entrust our own projects to! Quote Roller has always been developed by a distributed team working from various locations. To a large extent, this can be attributed to our strong belief that in today’s world, people can be together without being physically in the same city, building or room. This approach requires a team of people who can stay efficient without anyone looking over their shoulders and a tool that will actually bring all of them together and enable them to communicate their ideas, manage their agenda and track progress.We have always been using our own project management software and have been quite happy with it, but if we had discovered WebPlanner earlier, it could’ve become our number one tool for years! WebPlanner is a 100% web-based service for collaboration and distributed project management. It provides an integrated environment for all project members and allows them to easily communicate, manage and discuss project tasks, set task dependencies and define the critical path using a dynamic Gantt chart, upload project-related files and do a whole lot more! Since WebPlanner only requires a browser to operate, you can get in touch with your team from nearly anywhere these days – even from 30,000 feet above ground. We like the interface of WebPlanner – it really helps find your way around and isn’t overloaded with unnecessary detail. The central dashboard contains everything you need to know about your projects, overdue and approaching tasks, recent activities of your colleagues and other relevant information. The service allows you to easily build dynamic project schedules (based on an online Gantt chart) and track completion at any moment. As you see, this project management software has pretty much everything you will ever need for managing a project with a remote team. We have seen many examples of project management software and WebPlanner is definitely the cream of the crop among them thanks to its impressive set of features, ease of access, user-friendliness and great looks. We do like it and highly recommend checking it out!